Current leading lady flat jockey Wendy Gibson, heading the amateur tables on 3 wins already this season including the Ladies Derby at Ripon (photoed above on DIMASHQ), is being treated for injuries to her back, liver and ribs in Leicester Royal Infirmary following a dramatic fall at Leicester on Thursday night, 25th June. Soon after the starting stalls opened, NOMOREBLONDES appeared to stumble and as the mare dropped her head, her jockey was thrown onto the firm ground where she was also subjected to a kicking. Racing was delayed for half an hour whilst two doctors accompanied Wendy to hospital. Peter Midgley, the trainer who has supplied Wendy with her winning rides so far this season, remains hopeful that she will make a swift recovery so that she can aim for a tilt at this year’s Ladies Amateur Flat Championship. Hopes for Wendy to be released from hospital this weekend have not come to fruition as she took a kick directly on her stomach and has severe bruising. Wendy enjoyed representing Great Britain in Baden-Baden earlier this summer and also rode a winner in Malaysia last year. We all wish her well again very soon and look forward to seeing her hopefully back in the saddle before too long. 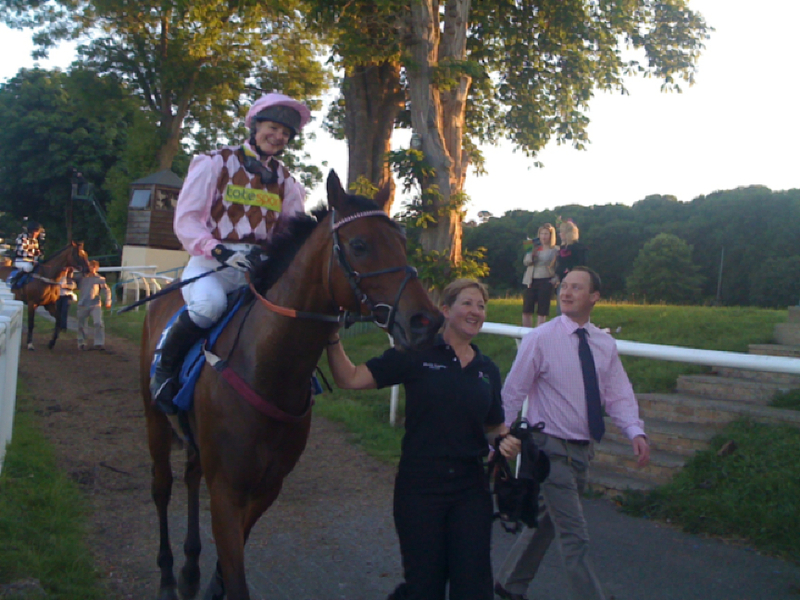 The evening of 23rd June gave Hannah Grissell compensation for having broken her wrist back in November 2008 in a fall in the Irish leg of the Limerick/Newton Abbot lady jump jockeys hurdle challenge. Thankfully Hannah has better memories of the return match at Newton Abbot when she enjoyed victory aboard HAREEM for the English team (made up of Georgina Andrews, Jenny Carr, Hannah Grissell, Lucy Jones, Isabel Tompsett and Clare Wills) and trainer Martin Keighley. KATIE COOPER ENJOYS CHAMPAGNE YORK! KATIE COOPER enjoyed a champagne moment when winning the first race of her career by bringing Mull Of Dubai with a sweeping late run to land the Queen Mother’s Cup today at York. Katie is trainer’s secretary to Tom Tate and was having only her 9th ride under Rules. As tradition dictates, Katie receives her weight in champagne as part of her winning prize thanks to the generosity of Pol Roger. Serena Brotherton rode a perfectly timed race on Gifted Leader to hit the front 2 furlongs from home but was denied victory by three-quarters of a length, with Hillview Boy and Carol Bartley back in third, having tried to steal a march on their rivals and staying on well to finish four lengths behind the second. 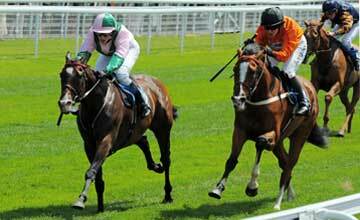 There is no stopping in-form lady jump jockey Isabel Tompsett! 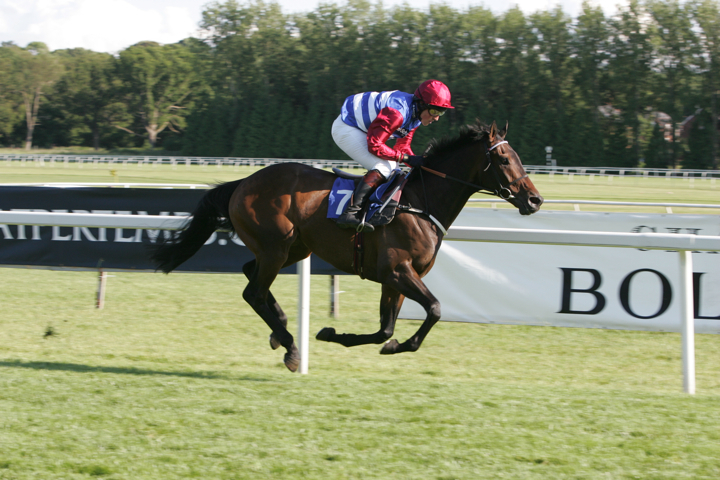 At Newton Abbot’s meeting on 4th June she narrowly missed riding a treble, winning firstly the Maiden Hurdle on AYPEEYES, who bolted up for his new stable having been bought out of a seller after winning for Alan King at Bath. Isabel also took the next race, the lady riders’ selling hurdle, on Evan Williams’ CELEBRITY CALL, always going well and winning by a huge margin. Second in her final ride of the day, Isabel gained compensation on her next visit to the course only 4 days later on 8th June by winning decisively on OLIVINO. Many congratulations to Isabel! Over £30,000 was raised from the SIA charity race day lunch held at Newbury Racecourse on 11th June in addition to thousands of pounds being raised in sponsorship by the 10 jockeys who valiantly took part. 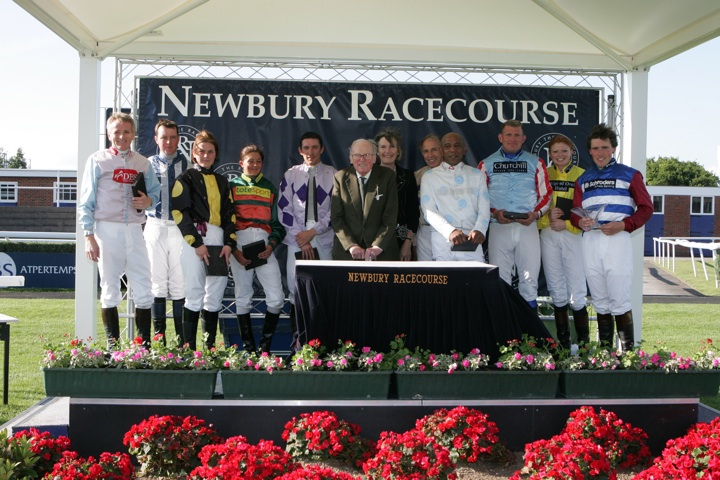 Picture above, the jockeys line up following their presentations – from left to right: Chris Boreham, David Plunkett, Sarah Knight, Amber Griffiths, Jason Packhouse, Gay Kindersley, Sarah Oliver, Richard Buckfield, Leon Nurse, Julian Williams, Caroline Fleming and winning jockey Mark Weeks. Many thanks go to all those who took part as well as Bollinger Champagne for their support together with many others who made this day such a success. Chris rides out for David Arbuthnot and has ridden in point-to-points for 8 years. In his professional capacity he is also helping to raise funds at today’s charity lunch by acting as auctioneer. A keen polo player, Richard rode in his first charity race at Goodwood last year and now hopes to improve on that performance. He rides out regularly for Gary Moore. 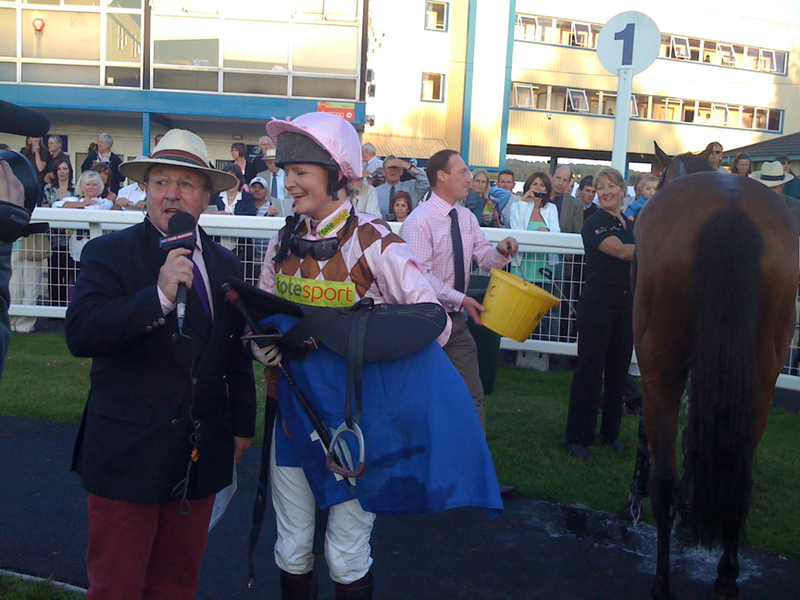 Caroline rides out for Nicky Henderson and is Sponsorship Executive at Newbury Racecourse. Caroline makes her debut riding in public today. Amber has worked in racing since she was 15 and currently works for Tim Vaughan. This is her debut ride on the racecourse. Sarah is attached to Andy Haynes’s yard and previously held an amateur jockey’s licence when working for Charles Cyzer. This is Leon’s 12th charity race in which he will be attempting to retain his title having won this race last year. Jason has ridden in over 25 point-to-points and held a conditional licence when attached to Roger Curtis’s yard. He now works for Andy Haynes. David, better known as Trigger, is having his debut ride in public today. He is Assistant Trainer to Charles Egerton and has worked in racing for 18 years. This is Mark’s debut ride in public. 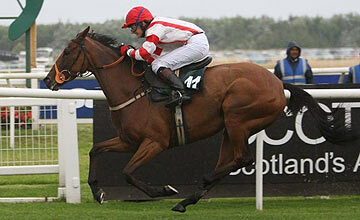 He is Pupil to Alan King and previously Charles Egerton. 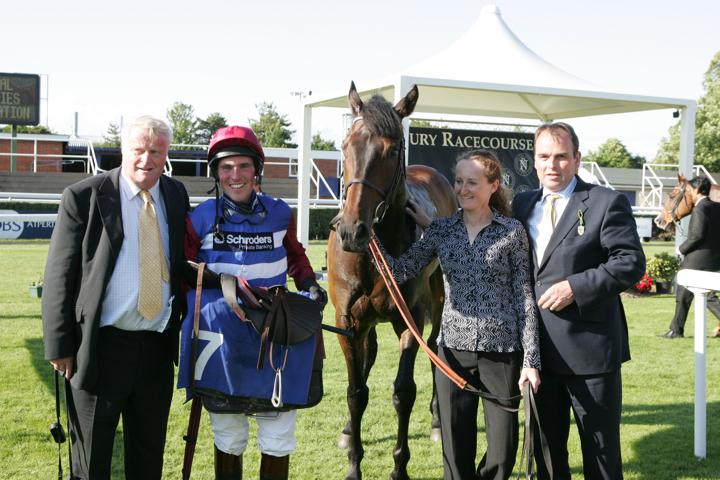 Julian has ridden in 3 point-to-points and is Assistant Trainer to Mick Easterby.